What should I have for dinner? Spaghetti and meatballs sounds delicious, right? I have an awesome recipe for homemade tomato sauce, but I&apos;ll need fresh basil and mushrooms. Too bad it&apos;s 6pm and the farmers&apos; market is closed. I enjoy supporting the local food movement and wish there were more options to buy produce in downtown Raleigh. Bummer. Flash forward to a few years from now. I&apos;m still making the same ol&apos; spaghetti and meatballs recipe for dinner, and I&apos;ll still need fresh basil and mushrooms. Now I can go to The Farmery in downtown Raleigh. I can walk into the store and buy fresh, locally grown basil and gourmet mushrooms right off the store&apos;s walls. I can also purchase other types of locally grown produce from the Greater Raleigh area. 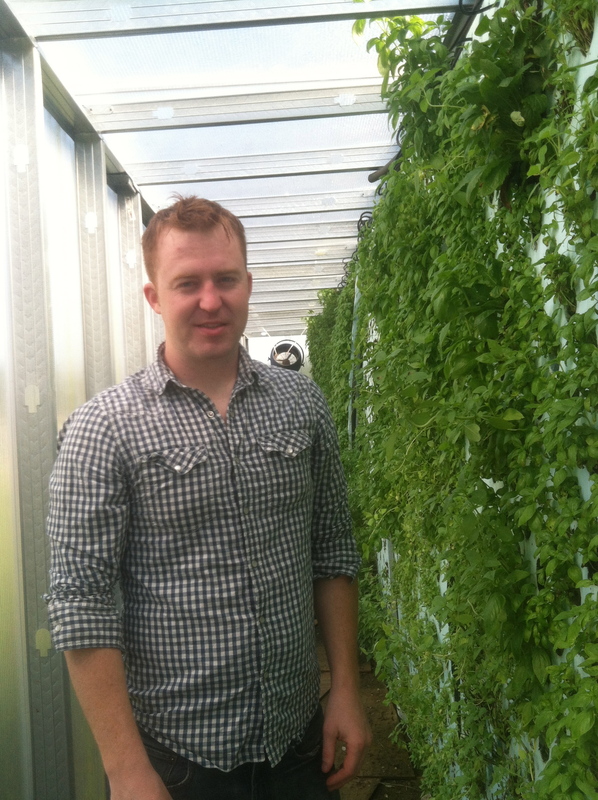 The Farmery, a growing and retailing system designed to provide locally grown food in urban neighborhoods, is the brain child of Ben Greene. Tyler Nethers, a grower and biological systems developer, is Ben&apos;s business partner. Ben believes the local food movement is about cultural identity and understanding the story behind your food. The Farmery allows customers to see their food growing and intimately connects the customer to the farmer. The Farmery was Ben&apos;s thesis for graduate school at North Carolina State University where he studied Industrial Design. Before attending graduate school he served in the Army and also studied Fine Art with a Sculpture Concentration at Clemson University. He enjoys being a small farmer and never stops thinking about The Farmery. When he&apos;s not working his day job, you can find him examining his crops growing in shipping containers on a farm in Clayton. 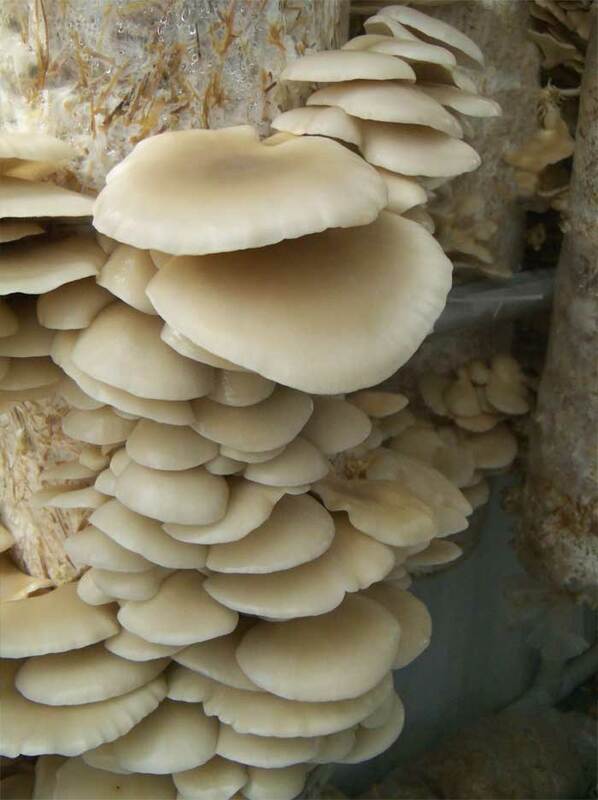 The Farmery consists of four shipping containers, which contain gourmet mushroom growing systems on the inside. Pictured below is the mushroom growing system Ben and Tyler built. They are clearly being successful! The Farmery also has growing panels on the outside walls where herbs, lettuces, greens, strawberries and other small crops are grown. Ben told me that lettuce costs about 13-15 cents a head to ship from California. The Farmery would allow lettuce and other crops to be grown and sold under one roof. It&apos;s quite a sustainable idea if you ask me! 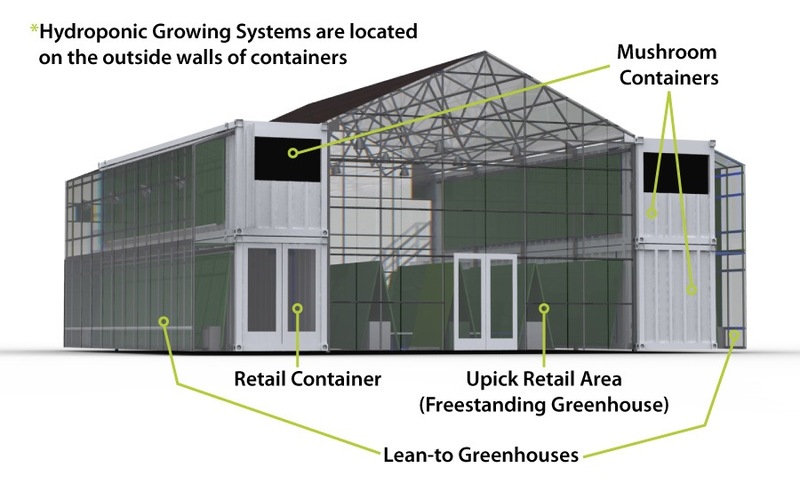 There are also greenhouses on the sides of the containers and a central greenhouse that spans the two stacks of shipping containers. Ben&apos;s diagram of The Farmery is pictured below. Support The Farmery&apos;s Kickstarter, which ends on September 28. 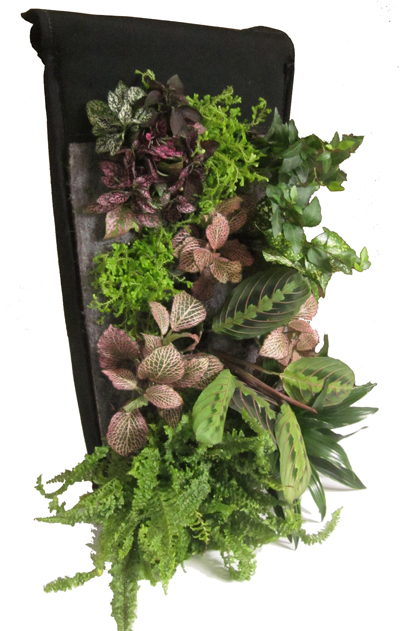 If you commit to donating $90 for the Kickstarter you can create your own living wall with a product developed by Ben Greene and a few of his Amish friends. 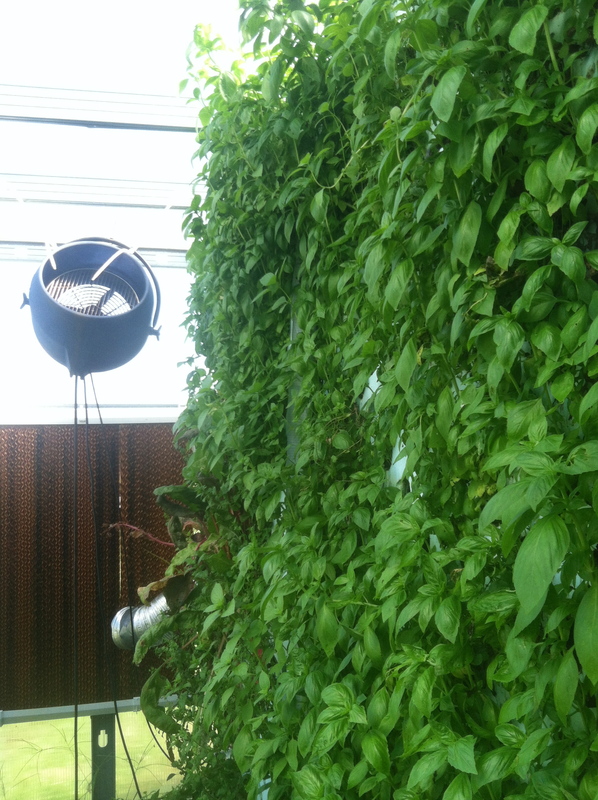 This product is an easier, cheaper way to have a living wall inside your house. The funds for the Kickstarter will go towards funding Ben and Tyler&apos;s third prototype growing unit, similar to the one they have developed below. The local food movement in Raleigh is huge. Ben and Tyler have a wonderful idea that could transform urban neighborhoods in the Greater Raleigh area. Help spread the word!